Don't miss out: TODAY (11/16/17) at 3pm and 11pm EST, the Equicizer team alongside Steve Lantvit will be on their RFD TV show "Sure In the Saddle". We went down to Whispering Grace Horses in Massillon, Ohio for a clinic the Lantvits were hosting. Read more about this fun episode and clinic here on our blog! Fall into Christmas Shopping! Order now! Our order queue is filling up fast for the holidays! Please get your order in as early as possible if you want to secure delivery by Christmas. 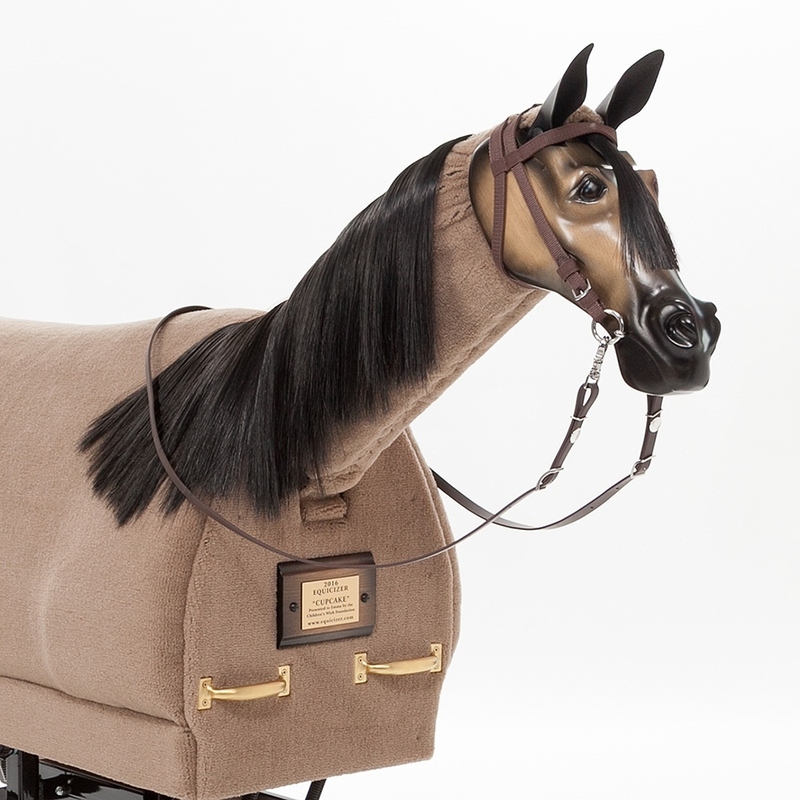 If there is a special person in your life that is wanting to start off 2018 with a brand new Equicizer, please reach out to us so we can make that dream a reality! Whether they are asking for an Equicizer Classic, an Equicizer Elite, or maybe accessories for the Equicizer they already have... get those orders in soon! We're very excited to present our new All Terrain Casters! 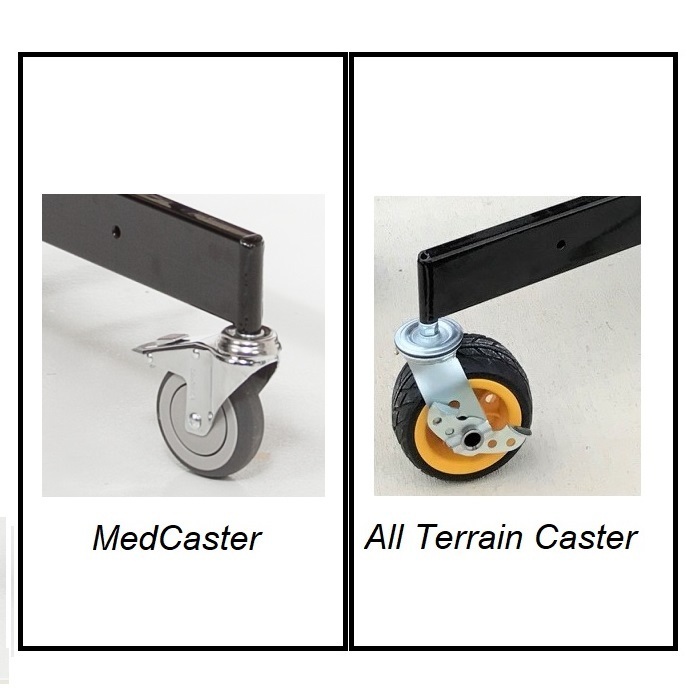 These casters are an alternative to our standard MedCasters, which we recommend for indoor use. Our new All Terrain Casters are ideal for customers that will be using and moving the Equicizer in an outdoor setting over grass, gravel, or sandy elements. 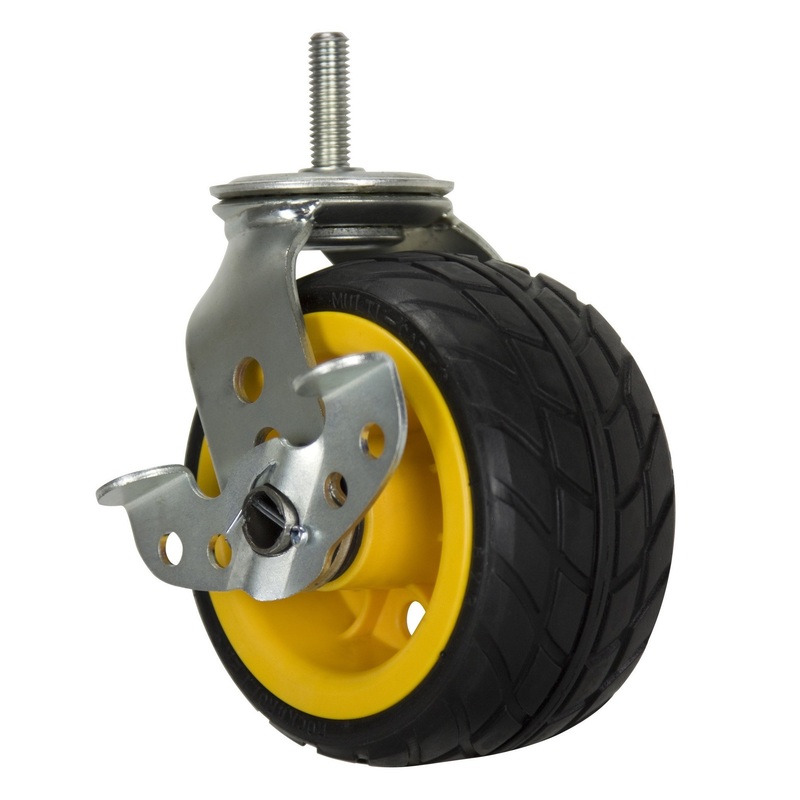 As we state on our website, "When using your Equicizer in a barn, arena, or at outdoor events, these casters are a great option to easily and quickly get your Equicizer where you need it to be." When purchasing an Equicizer, your selection of Indoor MedCasters or All Terrain Casters is included! Have you ever been curious how we ship each Equicizer? What the packaging process is (which is all done in-house)? Or what to expect once your Equicizer arrives? All of these questions and more are answered in the new "How We Ship" page on our website. would like to do so, please click here!